Leaving your phone plugged in for hours could become a thing of the past, thanks to a new type of battery technology that charges in seconds and lasts for over a week. Scientists from the University of Central Florida (UCF) have created a supercapacitor battery prototype that can store a whole lot of energy very, very quickly. While it probably won’t be commercially available for a years, the researchers said it has the potential to be used in phones, wearables and electric vehicles. “If they were to replace the batteries with these supercapacitors, you could charge your mobile phone in a few seconds and you wouldn’t need to charge it again for over a week,” said Nitin Choudhary, a UCF postdoctoral associate, who conducted much of the research, published in the academic journal ACS Nano . Unlike conventional batteries, supercapacitors store electricity statically on their surface which means they can charge and deliver energy rapidly. But supercapacitors have a major shortcoming: they need large surface areas in order to hold lots of energy. 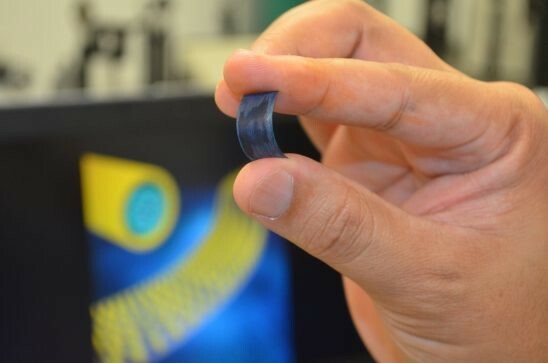 To overcome the problem, the researchers developed supercapacitors built with millions of nano-wires and shells made from two-dimensional materials only a few atoms thick, which allows for super-fast charging. Their prototype is only about the size of a fingernail. Cyclic stability refers to how many times a battery can be charged, drained and recharged before it starts to degrade. For lithium-ion batteries, this is typically fewer than 1,500 times . Supercapacitors with two-dimensional materials can be recharged a few thousand times. But the researchers say their prototype still works like new even after being recharged 30,000 times. Those that use the new materials could be used in phones, tablets and other electronic devices, as well as electric vehicles. And because they’re flexible, it could mean a significant development for wearables.